One fun holiday tradition we’ve started is filling out our printable Christmas list on Thanksgiving. We love circling toys in catalogs as well, but when tempted, my son will circle every single item. I bet yours does the same. 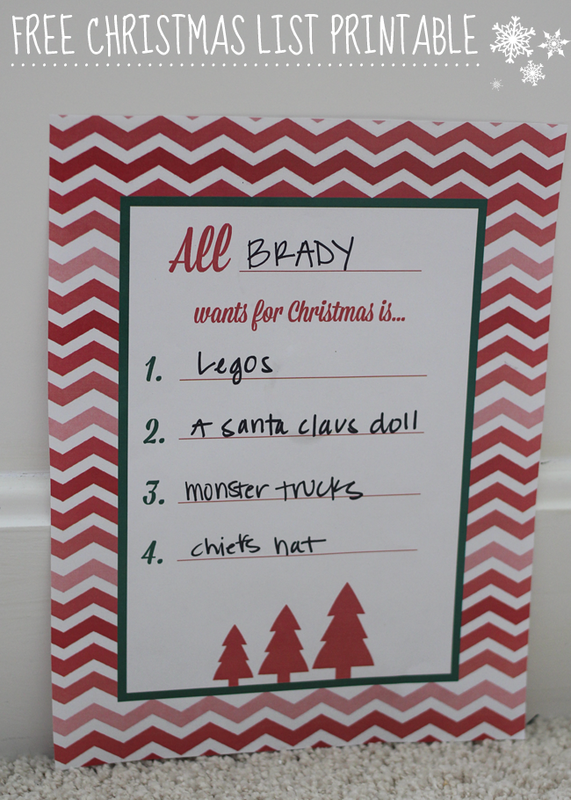 I like him to think hard and come up with his top four things he really would like to have this year. After all, it’s not a toy free for all! Here’s a free printable Christmas list you can print right at home and help your kids fill out. It is fun because they don’t mind learning a little writing and spelling skills when it comes to something so important! We also have some cute Christmas coloring pages and my favorite printable of all time, a Christmas baking set printable so you can make Christmas cookies without heating up the oven. line and shape of your photographs is captured with utter clarity. one before, now is the time to let her really experience a fantastic day out filled with loads of thrills and spills.